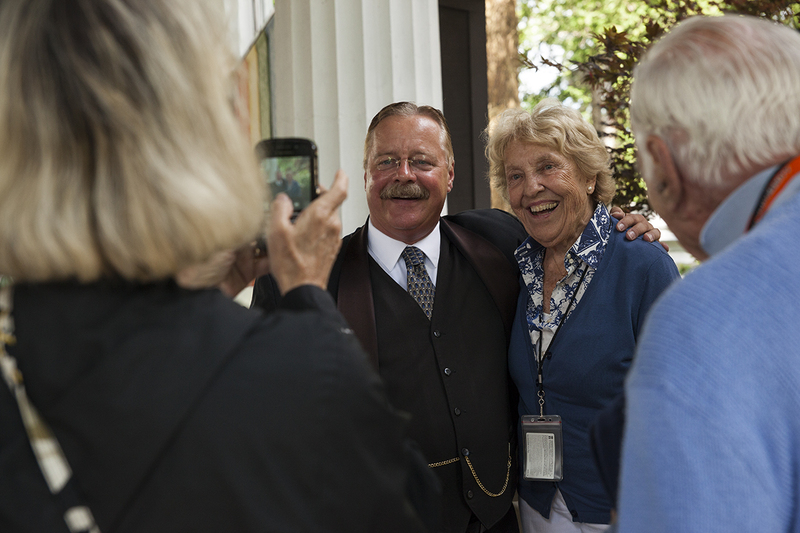 Dotsy Liles (left) takes a photo of Theodore Roosevelt impersonator Joe Wiegand posing poses for a photo with Chautauquan Phoebe Ford (center) after Wiegand’s 2 PM lecture at the Hall of Philosophy on June 28, 2016. Wiegand’s lecture, the first of the season in the Heritage Lecture Series, described Roosevelt’s involvement with the creation of America’s national parks, as well as Roosevelt’s various experiences in politics throughout his life. 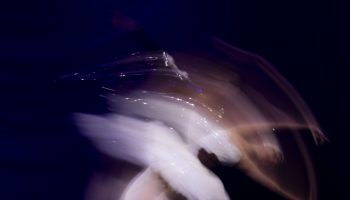 Photo by Carolyn Brown. 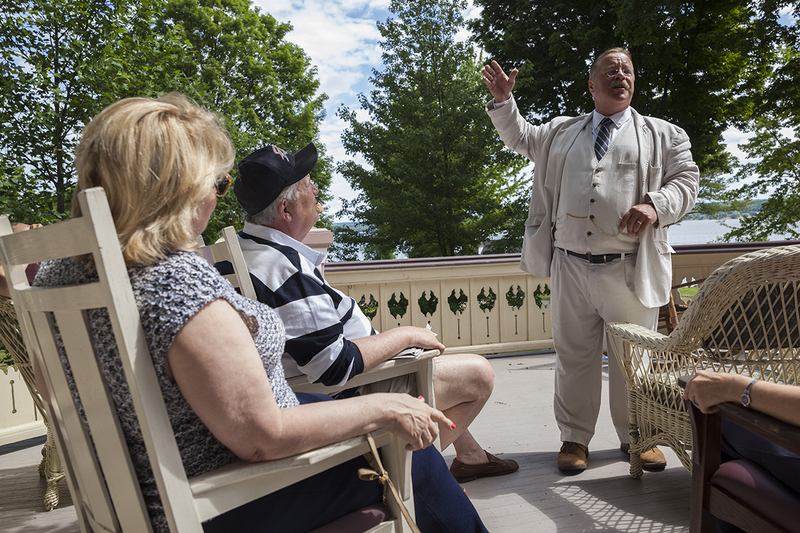 Joined eagerly by Susan Turpen, left, and Mike Turpen, center left, Theodore Roosevelt impersonator Joe Wiegand leads audience members in three cheers for Chautauqua at the end of his talk at 10 AM on the Athenaeum porch on June 28, 2016. 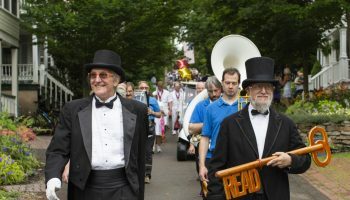 Earlier in his presentation, Wiegand recalled a quote from Roosevelt, who once called Chautauqua “the most American place in America.” Photo by Carolyn Brown. Wiegand emphasizes a point in his address at 2 PM on June 28, 2016, in the Hall of Philosophy. 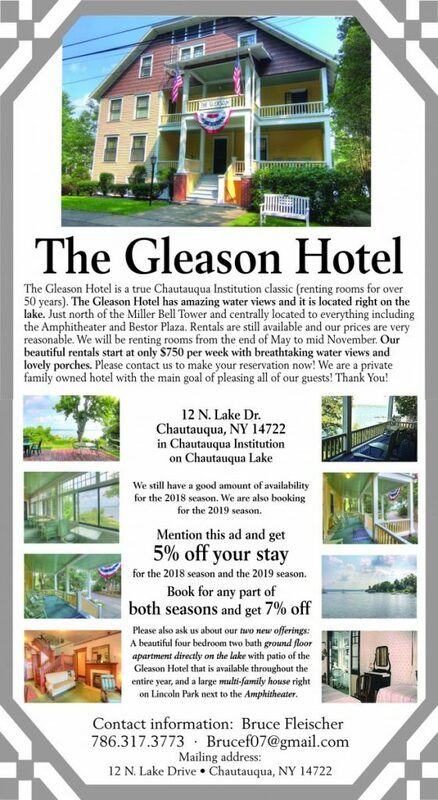 Wiegand’s talk discussed Theodore Roosevelt’s involvement in the creation and maintenance of America’s national parks. Photo by Carolyn Brown. 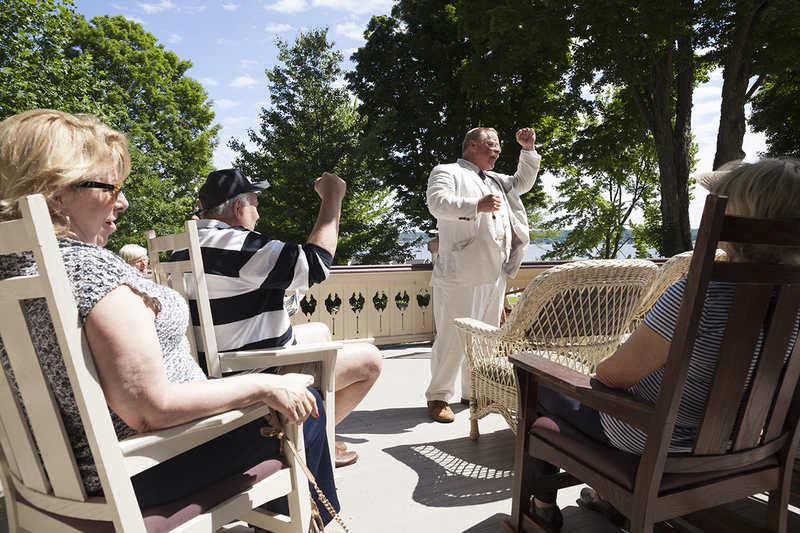 Wiegand addresses Chautauquans as Theodore Roosevelt at 11 AM on June 28, 2016, on the Atheneum porch. 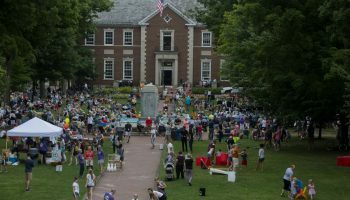 Wiegand’s talk discussed various topics relating to Theodore Roosevelt’s life, including Roosevelt’s political views and his involvement in the creation and maintenance of America’s national parks. Photo by Carolyn Brown. 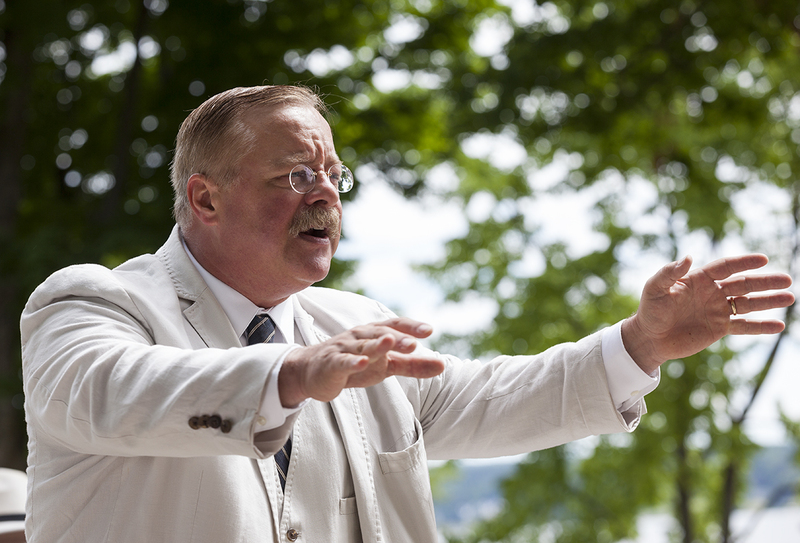 At 11 AM on the Athenaeum Porch on June 28, 2016, Theodore Roosevelt reenactor Joe Wiegand recounts the story of how a famous hunting trip of Roosevelt’s led to the invention of the teddy bear. Wiegand delivered a lecture at the Athenaeum in the morning and the Hall of Philosophy in the afternoon. Photo by Carolyn Brown. 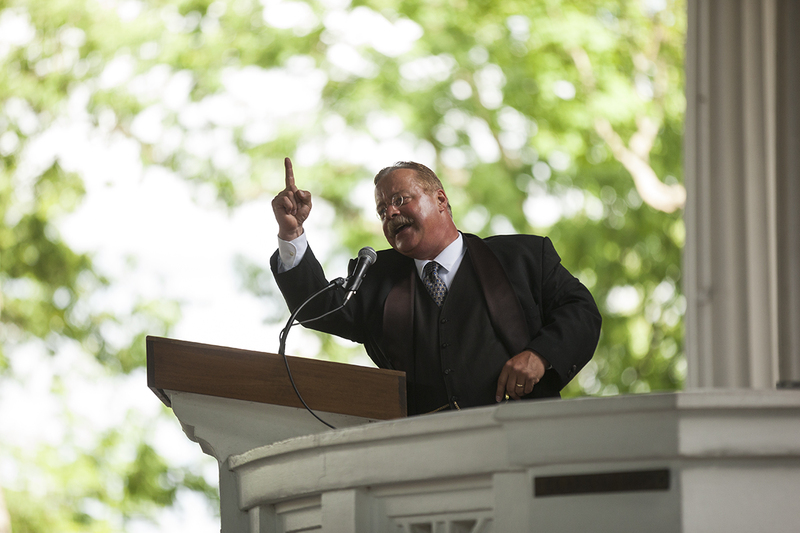 Wiegand addresses Chautauquans as Theodore Roosevelt at 2 PM in the Hall of Philosophy on June 28, 2016. 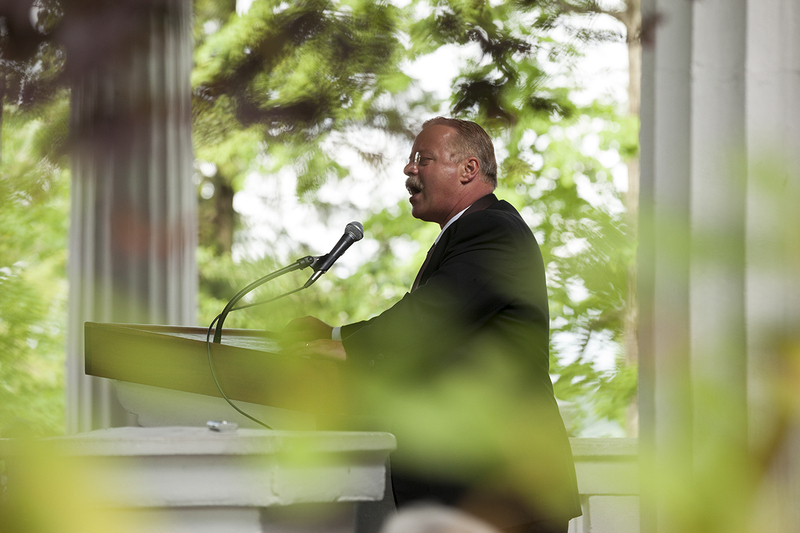 Wiegand’s talk discussed Theodore Roosevelt’s relationship to nature as well as his involvement in the creation and maintenance of America’s national parks. 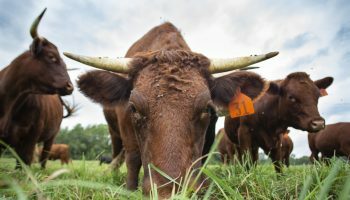 Photo by Carolyn Brown. 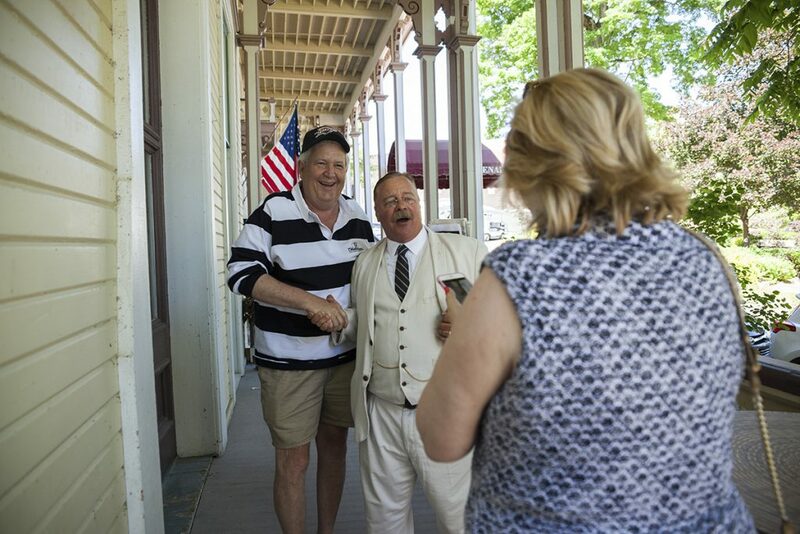 Mike Turpen, left, poses for a photo with Joe Wiegand as his wife, Susan, right, gets her phone camera ready at 11 AM on the Athenaeum porch. 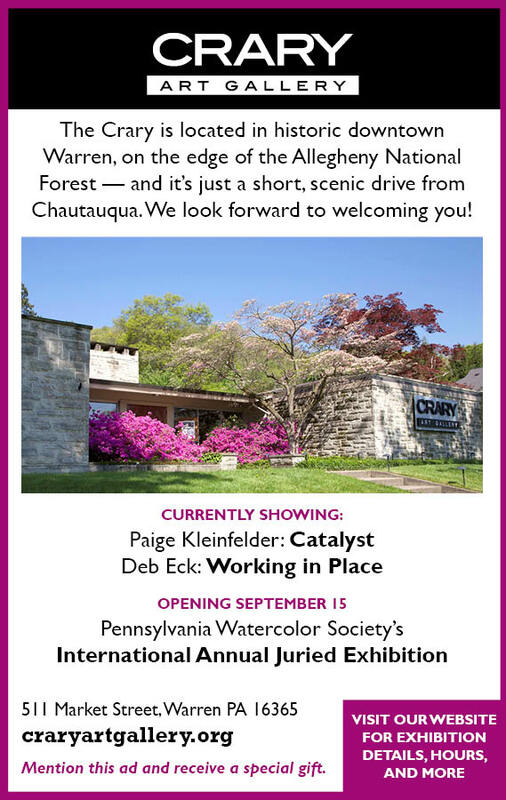 Wiegand’s talk was part of the Turpens’ first ever visit to Chautauqua.